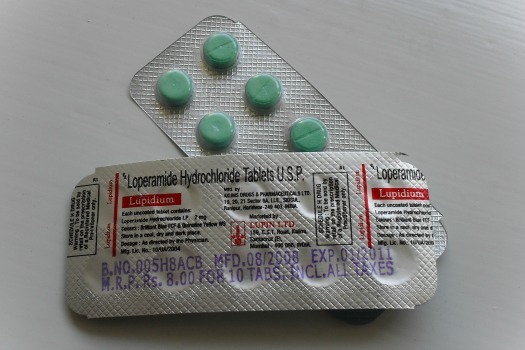 The key ingredient of anti-diarrhea drugs, loperamide, is thought to be highly addictive and researchers warn should be regulated more carefully. The U.S. Food and Drug Administration (FDA) warned this week that ingesting high levels of loperamide found in common anti-diarrhea drugs such as Imodium, could lead to heart problems. The amount of people overdosing on common drugs has been a direct result of the opioid crisis currently taking its grip across the U.S. with many people taking huge doses of the common drug to get a high similar to heroin. Some are reported to be taking as much as 300mg in one sitting when the recommended dosage is 8-16 mg per day. Although many cases are accidental, the FDA warns that many are turning to simple over-the-counter drugs to curb their addictions to opioids. The risk of heart complications also heightens when taken together with other medicines as loperamide reacts with some drugs that create a euphoria effect. “The risk of these serious heart problems, including abnormal heart rhythms, may also be increased when high doses of loperamide are taken with several kinds of medicines that interact with loperamide,” the FDA said in a statement. Although the agency has had a few isolated reports of 31 people being hospitalized from lopermide overdose including 10 deaths, they believe there are many more cases that aren’t being reported leading the FDA to issue warnings and restrict the amount that can be sold over-the-counter. This also comes after legislation to restrict the decongestant, pseudoephedrine which can be turned into methamphetamine, according to a Fox News report. “Action should be taken to regulate the sale of loperamide-containing products in a manner similar to pseudoephedrine, dextromethorphan, and other restricted over-the-counter medications,” the researchers of the study stated. The FDA says it will continue to monitor cases of loperamide abuse and evaluate safety issues to determine whether additional actions are needed.